I hope you've had a wonderful week! It's been pretty warm here, and that's made me so excited for Spring! 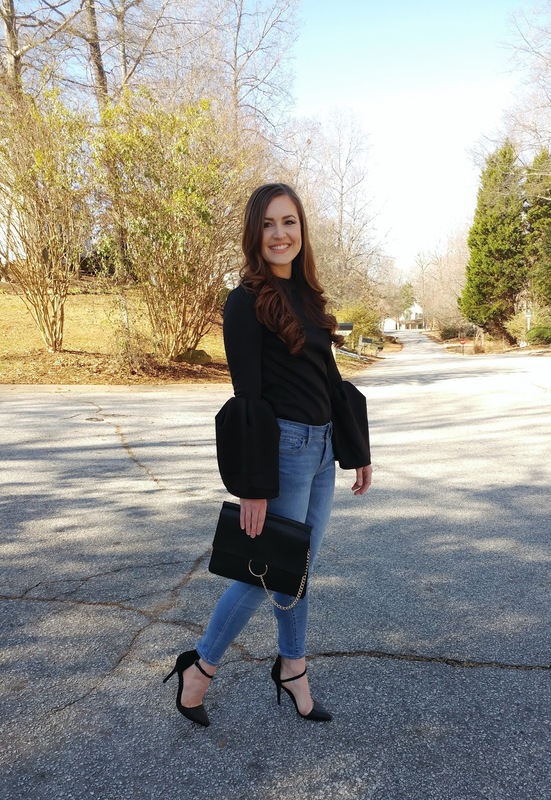 I've purchased a few new wardrobe pieces for Spring (okay, maybe more than a few!) recently, and I am so excited to share them!! Spring used to be my least-anticipated Season, but after having two babies in February, Spring became a Season to look forward to. Regaining my body and my confidence, losing the baby weight, feeling more recovered, and getting outside in the sunshine after being cooped up inside from a mix of the frigid cold and newborn fog. Spring is now one of my favorite Seasons. It's colorful, warm, and pretty. I think of lovely pastels and lace, kids finding Easter eggs, warm sunshine and pretty flowers blooming everywhere. A fresh start after the snow melts and the earth thaws. Yes! I know it's a tad early, but I'm ready. 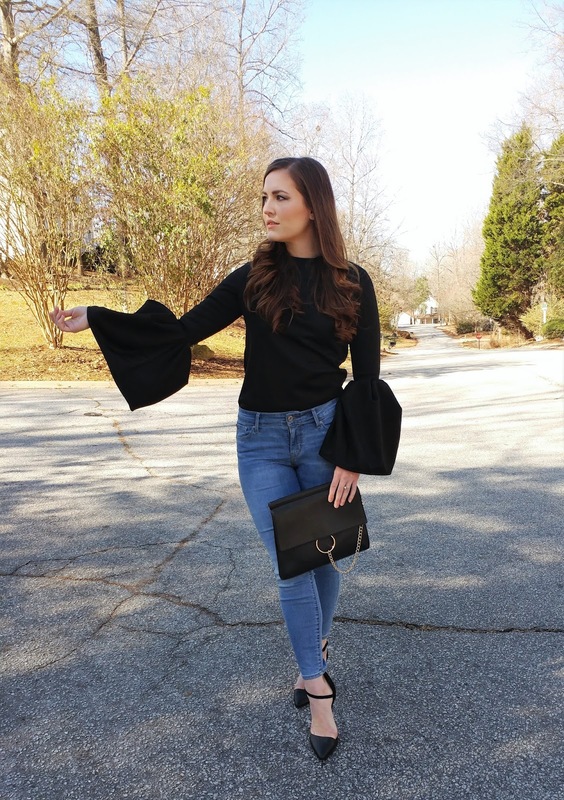 Those sleeves, shoes, and bag are everything! OMG I love this top. I'm going to Shein right now!! Right?! So nice for such a great price! That top is gorgeous! Glad you got it!! And yay for gaining that confidence! Your hair looks amazing!! Teach us your ways! Thank you! I've been growing it out for a while now, glad someone appreciates the effort! 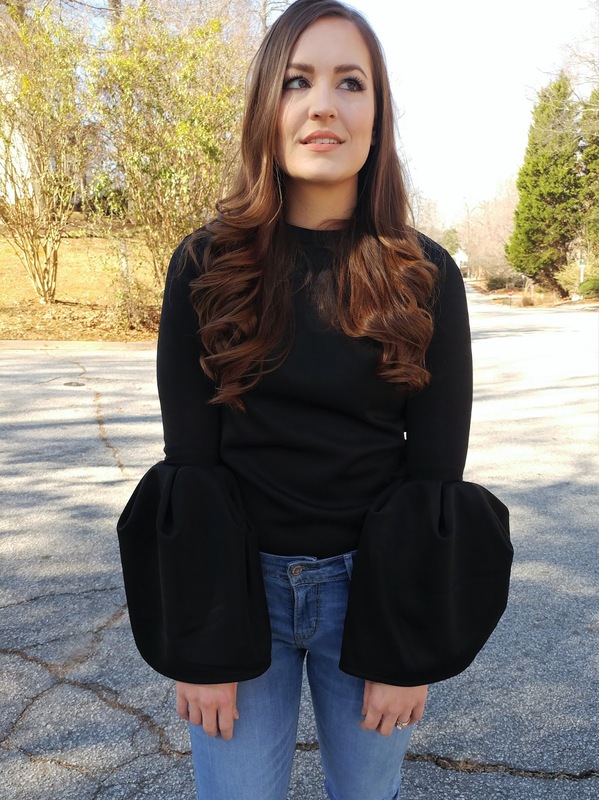 I am so loving the bell sleeves right now! 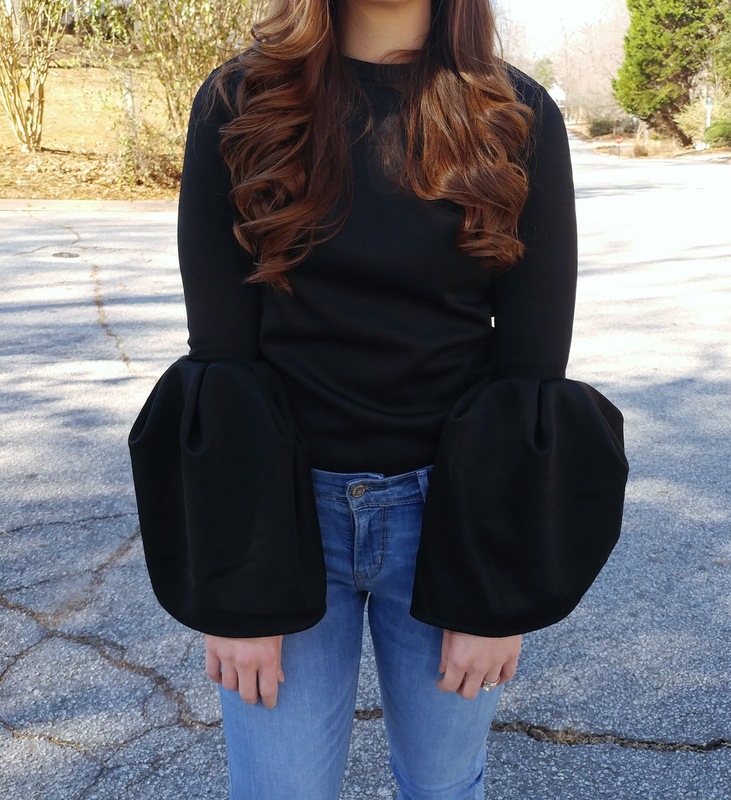 I have been seeing a lot of these statement sleeves lately, they look great on you! Yes!! I'm loving them right now! Thanks, Regine! I appreciate that.